Weifang Mingliang Electronics Co., Ltd. was established in 2005, locating in the beautiful international capital of kites - Weifang city, China. Minliang is more than 10 years professional beauty equipment manufacturer, specializing in the development, production, sales and service of traditaional esthetic technology IPL, Elight, SHR, ND Yag laser, newest popluar hair removal tech 808nm diode laser, medical esthetic equipment fractional CO2 laser, body shaping system like cavitation machine, RF machine. And to meet customers demands, we developed most effective face lifting equipment HIFU. With these years experience, we are professional at combined multifunctional beauty machines, such as IPL SHR, IPL laser, Elight IPL 808nm diode laser. Besides, we offer high quality OEM/ODM services in beauty machines. Our company has always been sticking to the people-oriented, technology-first, and customer first principle. 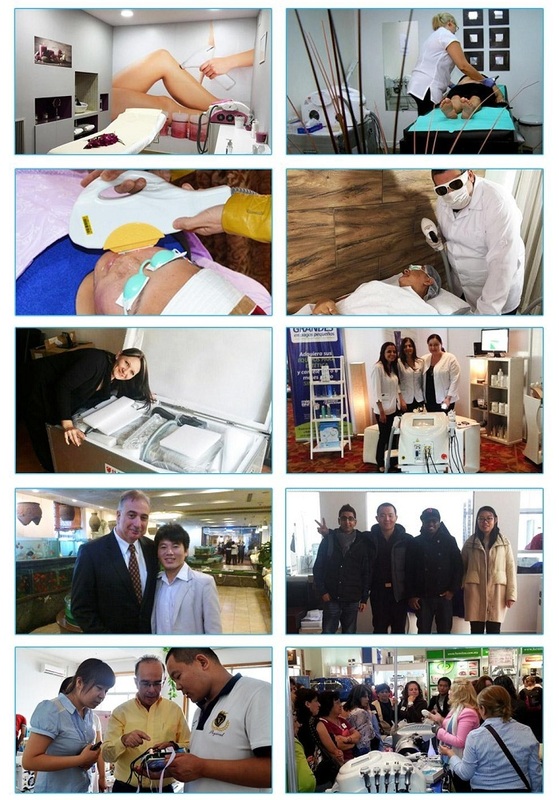 We enjoy a sound reputation in the medical beauty field for our durable machines and sincere service. Our products are widely used at the departments of beauty salons, dermatology hospitals and medical institutes. We believe in the rules of "honest, cooperative, creative, high efficient and devoted", to realize the goal of "High-tech makes beauty, Beauty gives confidence, and Confidence orients from Mingliang". We are trying our best to enable us to be the best reliable company in the beauty and medical industries. Mingliang has nearly gone through 10 years since its establishment. The advanced production and R & D facilities are equipped, professional production and technical personnel, strict and human management styles, which guarantee the production capacity more than 500 units. With so many years’ accumulation, it makes us obtain a strong influence and good reputation in the industry. We are shaped by an elite sales team, a dedicated team of logistics services, and a painstaking production team. All our Products comply with CE, ISO, SFDA certificates, with TUV international accreditation. The IPL, Elight, SHR, IPL SHR, 808nm diode laser, fractional CO2 laser, HIFU, Cavitation RF machine with high quality and competitive price, have been sold in North America, Europe, South America, Oceania, Southeast Asia and many other countries, which get popular with our customers and friends! After three times of company’s extension, now we have formed a good team to serve much better service to our customers and cooperating partners.